DidgEra, aka Dave Johnson is a performer , teacher, composer and recording artist. A multi-instrumentalist since age 10, Dave brings his passion for music alive in a versatile performance. 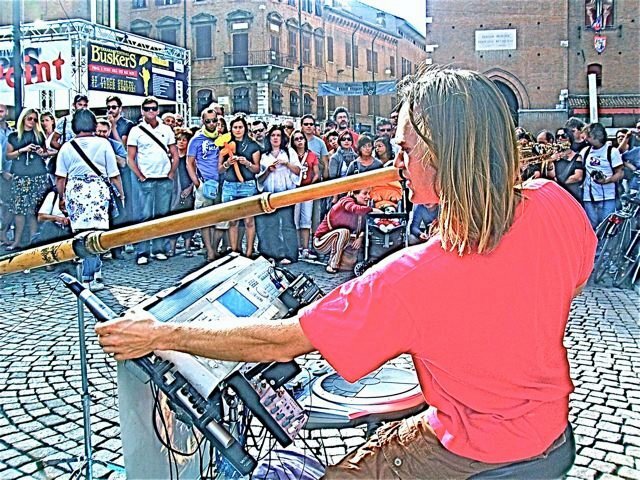 As a soloist, Dave plays several instruments simultaneously while combining a unique blend of percussive and melodic rhythms over which he alternates the deep piercing of the didgeridoo with the jazz-affiliated saxophones, or the more meditative Native American Flute. The result is a wholesome, penetrating explosion of sound and rhythm that awakens in the audience a soul-filled feeling.